Shakespeare was right. A rose by any other name will smell as sweet. But it won’t be found by people who are Googling for roses. If you ever decide to change a product brand name, you need to approach the whole thing with extreme caution and help your users and the search engines make the name shift. Because all kinds of natural forces will be working against you. Once a brand is in place, it’s hard to dislodge. We found this out while working on a multi-year project for software giant Micro Focus, who had acquired several companies and was hoping to rebrand and rename the acquired products. They believed that they could email their installed base and let them know of the name change, issue a press release, switch the names on the site and printed collateral, tell their sales force about the change, and that would be the end of it. Our SEO warning bells started ringing first, so we asked for some time to study the impact and come back with a strategy to help Google understand the brand shift. Since a large percentage of their site traffic came from organic search on brand terms, they recognized the importance of this concern. Our team came back with a strategy that ended up working extremely well. Here’s what we did. 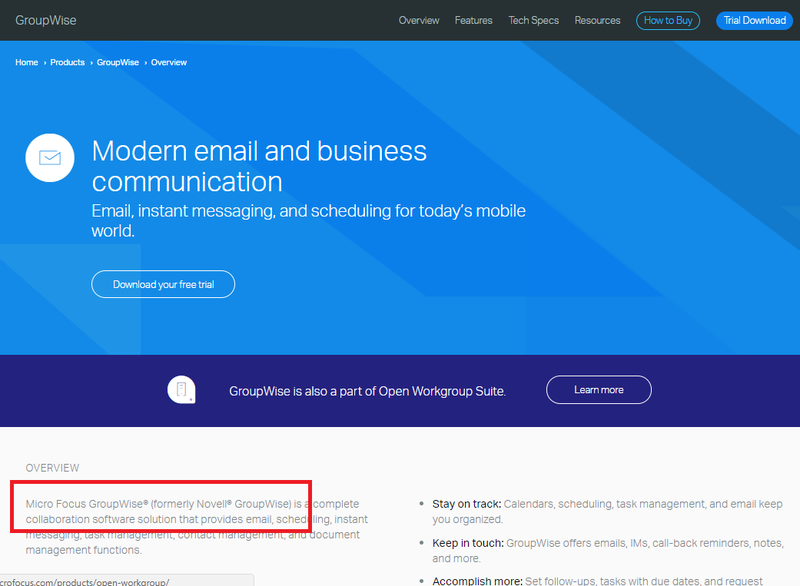 To teach Google the connection between the old product name and the new one, we established a master brand transition page for each site that was being migrated to microfocus.com. This new page was not accessible via the site menu, and was only shown to visitors who tried to visit the old site’s home page using a link or bookmark, or typing in the old URL. Here’s an example of one of those pages. 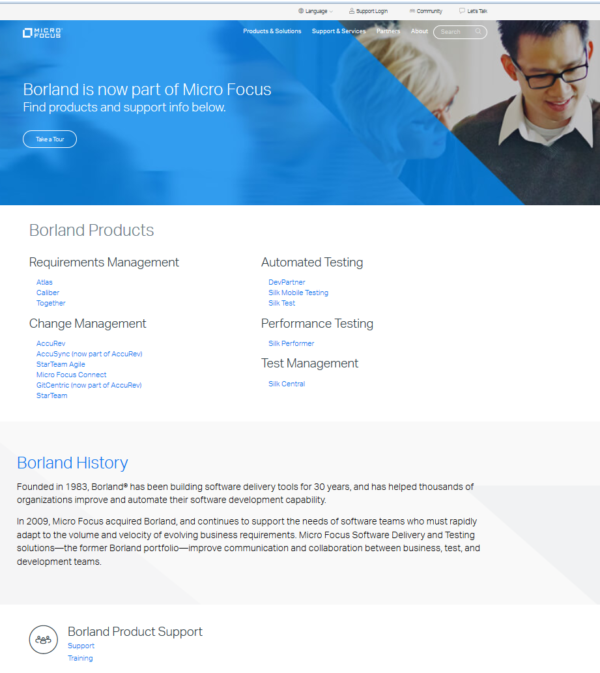 Banner text directly states that the Borland brand is now owned by Micro Focus. The links in the first content area list all of the product names that are associated with this brand ownership change. The Borland history section explains the story of the brand transition to Micro Focus, and explicitly cites the new Micro Focus solution area that houses the former Borland portfolio. This strategy proved to be highly effective. We saw very slight dips in organic search traffic volume in the days following the migration of these sites and traffic levels recovered within a week. It’s MUCH harder to shift a brand name in human memory. We are, it turns out, smarter than spiders. We remember things longer, and we can retrieve things we haven’t thought about for decades (bet you can remember stuff like your old locker combination, or your first street address, right?). We don’t just crawl through what’s currently available and work forward, like a spider. 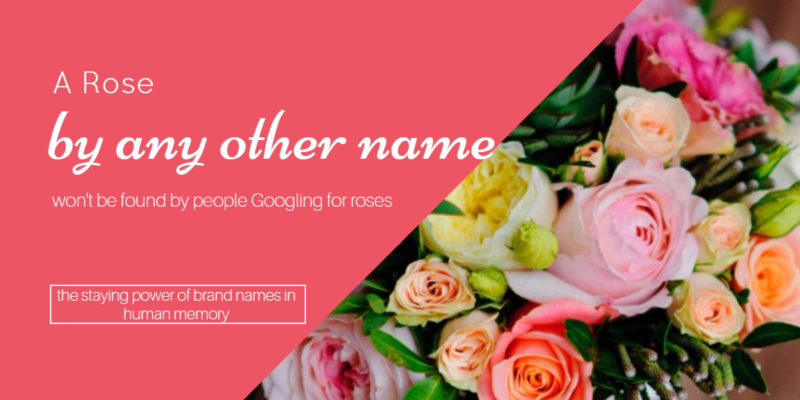 Because of that, even after the search engines have accepted the new brand names as the new normal, you have to help support user re-association for many years. This makes sense when you think about how businesses purchase enterprise software. Purchases are often made only once every few years and usually involve multi-year licenses. 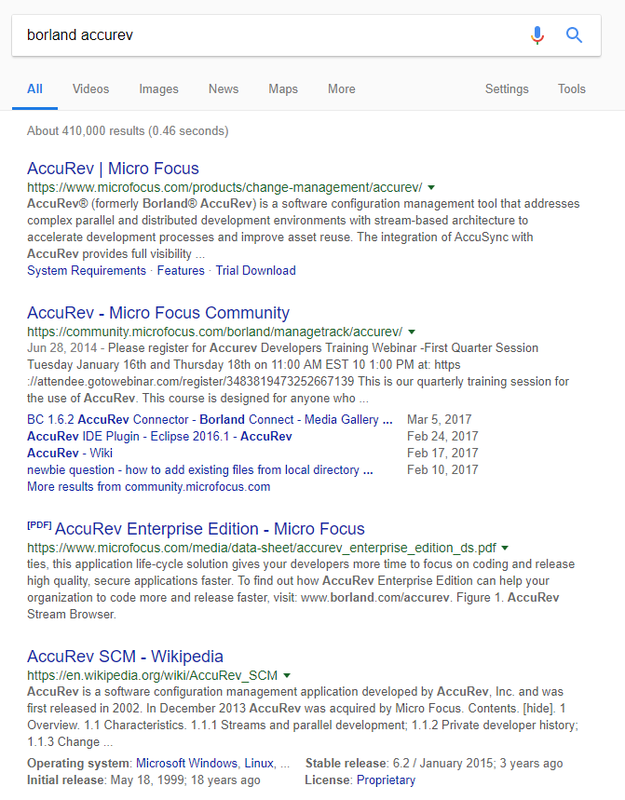 So if you are a Borland customer who purchased AccuRev years ago, and you want to learn about what’s new, you probably will search for Borland, or Borland AccuRev, not Micro Focus. Here’s what you’ll find, when you do that. The first search result is the product page, and the excerpt from the Overview section shows the (formerly…) brand citation we inserted onto every acquired product page. This is an essential device to reassure an old customer that this is indeed the same product they know and love, and not some poseur product that has poached its brand name. We expect to keep that citation in place indefinitely, because we can’t think of a time when no potential customer or prospect will need that reassurance. The Wikipedia listing, the fourth entry on the SERP, also reinforces the brand transition by citing the acquisition by Micro Focus. We did some competitor research in this area, because companies like Oracle, IBM, Adobe, Symantec and Microsoft have had to deal with this issue for decades. We found that each of them handles it slightly differently. 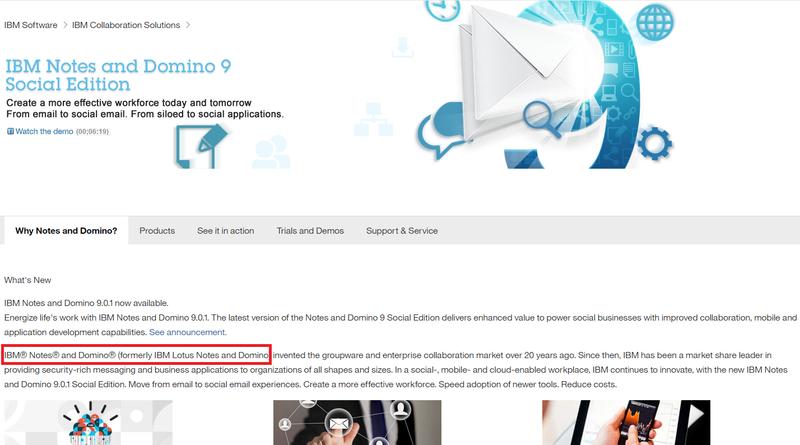 IBM uses the same approach we chose: the (formerly…) citation for each rebranded/acquired product. In the example below, we found that they were still citing this old Lotus Notes brand, which they purchased in 1995. WebWise shout out to IBM: IBM has obviously recognized the importance of supporting the old mental models embedded the minds of their customers. So for the past 22 years, every customer who went looking for Lotus Notes has been able to find it on the IBM Notes page with no problem. Now that’s what we call focusing on the customer. You only do something like that when you respect your users. When you first establish a product name, or a brand name, it takes a tremendous amount of time, money, and effort to raise awareness of it in the marketplace. The brand value associated with that product builds as the product is marketed, used, socialized, pitched, evaluated, supported, updated, and shared with colleagues. The product name is a shortcut that carries all of the brand value with it wherever it goes. When a company buys a product, that is one of the primary assets they are purchasing. So if you ever undertake to change the product name, it is well worth the time and money needed to help users shift all of that brand value to the new name.